When dealership personnel say quickly and almost automatically that “we treat everyone the same,” what is really meant is that they greet prospects consistently and similarly with a sales process in person or digitally. However, having the capacity and ability to treat every walk-in customer the same simply can't be accomplished. It’s the perfect ideology, the perfect philosophy that we all want to live by, but the truth of the matter is that it is not possible. After all we are humans, not robots. We can’t be shaped and programmed to treat everyone the same. And, who would want that anyway? Certainly not your customers. And, it’s more than semantics. Think about it. Does a physician treat all her patients the same? Does your child’s teacher treat all his students the same? Of course not. They would have a pretty bad reputation if they did. Why? Each patient has his own well being issues and each student performs at her own learning style that is personal to them. Why would it be any different for a client or customer purchasing a car? What brings them into this dealership, their finances, influencing factors, comfort and ability to negotiate are all personal and individual. A dealership’s sales team undergoes the same level of training. How is it that some sales advisers are so much more engaged and sell to women with ease? Others, even seasoned “car guys,” can have a more challenging time — sure, they may “get through it,” but they don’t have the comfort and success rate. During sales training, it is important to advise sales professionals not to let their experiences from the past interfere with their sales engagement. But that is much easier said than done. Folks who sell cars are just like us all; they have full and robust lives, and sometimes those experiences from the past influence the way they behave in the present. It’s largely because each and every one of us has a neurological make-up filled with fright and flight responses. Lets take a closer look. Sales advisers interact with numerous customers every day. The good, bad and the ugly experiences, behaviors, reactions and emotions of previous situations are all stored in the human brain. When confronted with a similar situation, whether consciously or not, elicits reactions based on past recollections. Let’s say a sales associate approaches a women shopper who resembles a one-time friend with whom the relationship soured. Instantly and unconsciously there will be a negative association formed with this customer. In most cases the sales process will not go well or be successful as the sales professional person fails to deliver customized, service. Today is about customization, both in offering tangible and intangible services. The same holds true in selling and approaching customers. Using the same opening line and attempting to sell customers equally may not go so well. According to the new world definition, being “customer-focused” means going the extra mile in delivering quality experience to each customer individually according to their preferences. This means dealerships must ensure that their team of experts on the sales floor and BDC don’t deliver cookie cutter lines, openers, or emails to customers; but rather understand each customer as well as possible the way they want to be treated. That’s what customers are now looking for. Not, just a sales exchange. And, it’s a tall order! Understanding the customer and offering customized treatment has become even more crucial today because the auto industry is gradually shifting from male to female-focused, leaving dealership management trying to truly understand this large and growing market segment. Its time to break away from the so-called ideal philosophy of treating everyone the same and begin deliver tailored treatment to each customer. And, who knows what that approach will be until the customer speaks, and dictates it? 1. At a sales meeting, brainstorm on ideas for opening conversations and ice-breakers with women. 2. Women buy a car because they trust and respect the seller. Period. Ask questions to get a true understanding of what she is looking for and how you can be a trusted adviser. Don’t stop asking until at least five questions have been asked to each customer. Get to know her. That is relationship building and what women want. 3. Outbound emails should be personal and of value to each client. Provide her with women- and family-relevant content that will truly assist her. 4. Be supportive, attentive and interested. Above all, listen. 5. Speak in full sentences to women. Many times we hear that sales advisers say “leather or cloth”? etc. The point is there is another adult being spoken to, so don’t be in such a hurry that you stop speaking to them and instead start talking at them. 6. Don’t ask for a test drive too early without being very clear on No. 2 above. 7. Don’t jump to conclusions about any of your customers. Even with a husband and wife and asking who is going to initiate the paperwork. Keep your eyes on both of them. 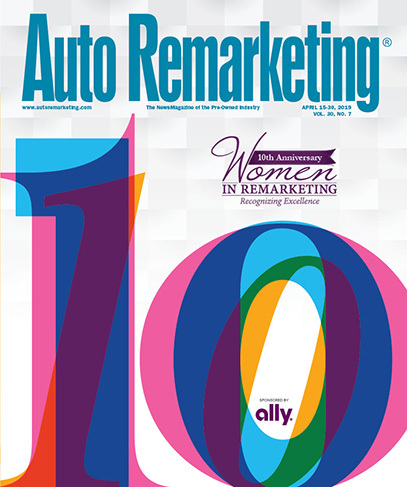 Editor's Note: Anne Fleming is president and car-buying advocate of Women-Drivers.com and a guest contributor to Auto Remarketing. She was also recognized as one of AR's 2013 Women in Remarketing.